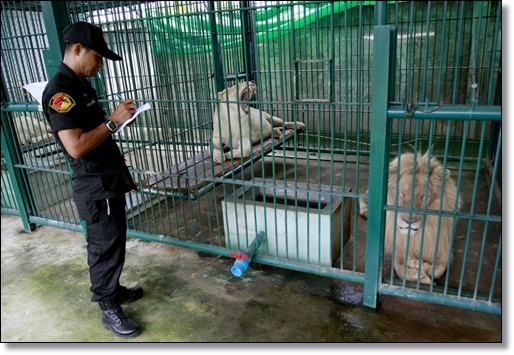 Bangkok - A pet shop owner was arrested after Thai police found hundreds of protected animals, including rare lions, in his warehouse near Bangkok, authorities said Monday. 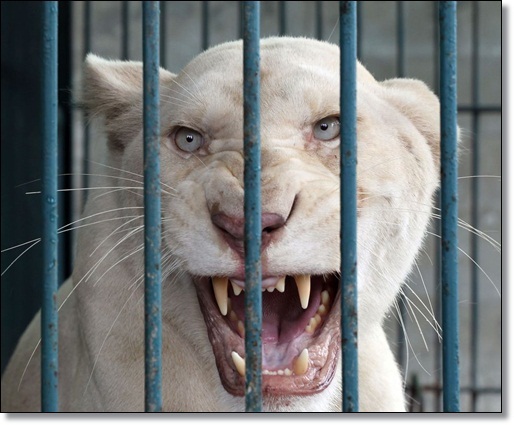 Police Col. Ek Ekasart said police found 14 albino lions from Africa, hundreds of birds, meerkats, tortoises, peafowls, capuchin monkeys and other species from overseas and Thailand. Montri told reporters the lions were shipped legally to Bangkok from Africa and were waiting to be moved to a zoo in Thailand's northeast. 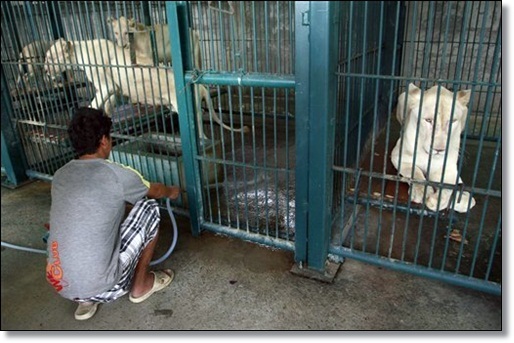 He did not explain why only 14 lions remained at his warehouse, while the documents showed he had imported 16. 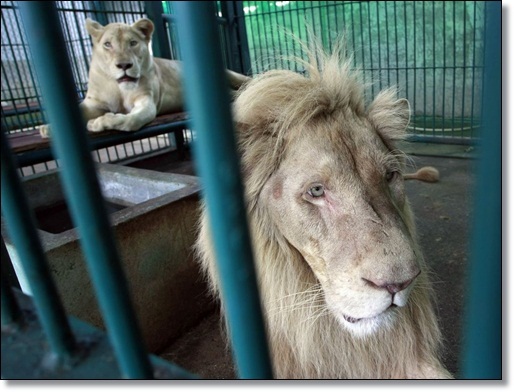 The animals were confiscated and will be under the care of the Department of Natural Parks, Wildlife and Plant Conservation.